In a Nutshell: Whether you’re applying for a mortgage or credit card, choosing a bank, or signing up for a new auto, life, or home insurance policy, smart shoppers know to look around for the best prices. RateHub is a website tailored to help Canadian consumers make informed decisions by sifting through the fine print and sourcing the best rates in all of these categories to add transparency to often-complicated choices. Users are not only getting a clean, organized browsing interface, they’re getting easily comparable rates and plans, in addition to educational resources aimed at improving their financial literacy as it pertains to mortgages, credit cards, and other financial products on the site. Applying for a mortgage on your own can be tricky business. Banks don’t typically hand you the best rates when you walk in the door, and the process of researching fixed and variable mortgage rates can be overwhelmingly exhausting. It can also wind up costing you a lot of money if you’re not choosing the right plans or lenders based on your own personal credit profile and income bracket. The same drawbacks also apply to shopping for the right credit cards, insurance plans, bank accounts, and guaranteed investment certificates (GICs). began in 2010 as a platform that offered mortgage comparison rates and financial education for prospective home buyers, but it has since evolved to become Canada’s leading financial comparisons platform. By sourcing the lowest rates in the country in categories like mortgages and cash back credit cards, the site offers easy comparisons laid out in a user-friendly format. “At the beginning, the site was built to connect people to the best mortgage rates, and we’ve since expanded that vision to connect people with tools to make better decisions regarding their finances, across multiple verticals,” said Kerri-Lynn McAllister, CMO of RateHub. In addition to rate comparisons, the site hosts financial calculators to help users work out payment schedules and determine mortgage affordability based on household income. Since informed decisions are at the core of RateHub’s mission, the site goes beyond comparisons with educational materials. 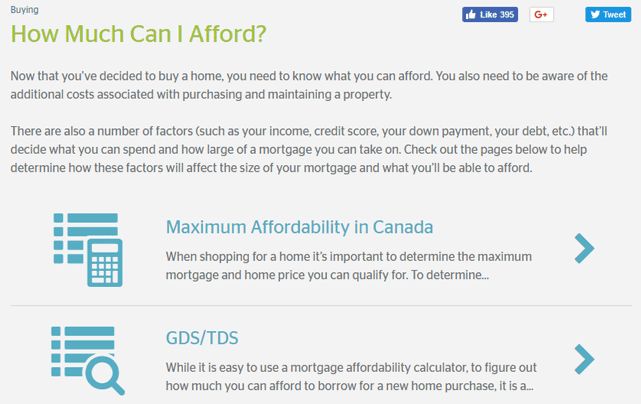 Using these articles, Canadians can learn about the home-buying process, mortgage renewal, different types of credit cards, and how their various fees and interest rates work. The engineering team at RateHub works diligently to create and ensure an ultra user-friendly experience for Canadians looking to compare financial products. When comparing mortgage rates, for example, you’re presented with a handful of easy comparison options using simple drop-down menus. The comparison options are based on factors like whether you’re buying a new home or simply refinancing, and your desired term, rate, and location. Once you’ve made your selections, RateHub provides you with a list of options for the best rates in Canada based on your specifications. While mortgage is its most popular category, the easy customer experience of the platform spans the entire site, so Canadians who want to compare other products also find the help they need in the process. With GICs, for example, you simply input your desired GIC type, investment amount, term, and location, and RateHub provides a list of comparison results. Users can compare credit cards and bank accounts based on account types, card types, monthly balances, and annual fees. The whole process of inputting information takes just a few minutes. Checking accounts, for instance, are sorted by fees, so you can input your typical number of transactions, and it will dynamically recommend a checking account that’s right for you. Crunching numbers, including mortgage payments, home refinancing, credit card air miles, and rewards, can be tedious. And there’s a lot of room for error if you don’t include all of the details in your calculations. Consider a mortgage: you have amortization periods, insurance calculations, and mortgage types to factor into the equation. A standard calculator only allows for basic calculations, which means there will be a lot of additional math required to ultimately determine your monthly payments. The mortgage calculators on RateHub are some of the most popular tools on the site for good reason. They have been specifically programmed to do the bulk of the work so users are saved the headache of having to perform all of the tricky mathematical calculations associated with their payment schedules. With a mortgage payment calculator, for example, you’ll plug in the figures that are specific to your situation, and the site will determine everything from monthly payments to your amortization schedule. Your only job is to gather the information, input the numbers, and let RateHub do the rest. Another appealing aspect of RateHub is its range of valuable financial education resources. These articles improve your financial literacy on topics like investing, using credit card rewards, and choosing the right mortgage. Resources include a mortgage renewal guide, credit card basics, types of credit cards, and a home buying guide. Articles from RateHub’s education center take a deep dive into subjects readers care about. Each page is carefully laid out and organized by sections that are useful to the user and easy to digest. For example, the Credit Card Basics page includes an entire section on how credit cards work, right down to the application process. You can even directly connect to the credit card provider through RateHub to complete your application. Readers will also learn about what the annual fees mean, how credit card interest fees work, and how to close your accounts, among other topics. Additionally, this section provides detailed information on credit card alternatives for those who don’t feel comfortable using them, or for those who have credit issues. The mortgage renewal resource, on the other hand, discusses topics like the paperwork involved in switching mortgage companies, what to do if your mortgage renewal is denied, and why you should start shopping four months before your term is up as this is the date most lenders let you start the early renewal process. Having access to these kinds of insights is a great way to improve your financial literacy, particularly for home buyers since a lot of money is typically at stake. Making informed decisions when it comes to your finances is important, and paying attention to how you spend your money is just the beginning. What lenders you use when applying for mortgages, which credit card companies you decide to go through based on your personal spending habits, and how well you calculate your payment schedules are all critical to your budget. RateHub gives Canadians the tools needed to compare the right mortgages, credit cards, bank accounts, and investment plans. RateHub has done all of the research for you so you don’t have to, and it brings transparency to financial products that can often be overwhelming and misunderstood. The platform is simple and user-friendly, as well, so calculations, making comparisons, and taking advantage of the educational resources don’t require any special skills or advanced knowledge. 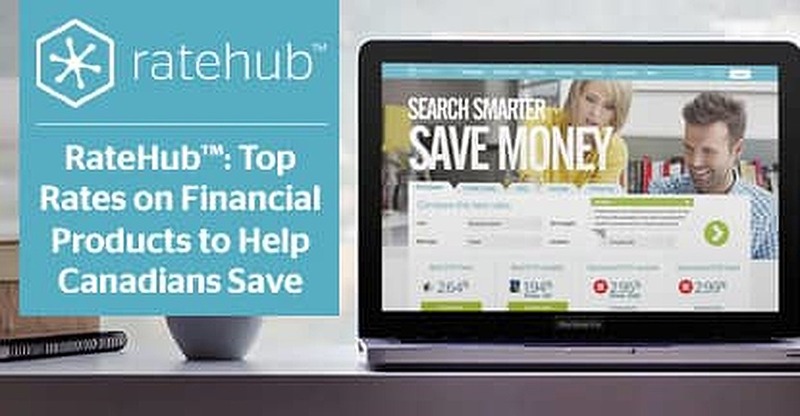 RateHub also remains dedicated to regularly improving the user experience, so you can continue to easily compare products and stay on track with your finances. Citi & BU Spur Socioeconomic Talks with "Menino Survey of Mayors"